Hi everyone! 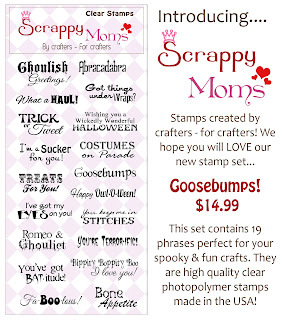 I'm back today with another cute card that I made with a sentiment from Scrappy Moms Stamps latest release.....Goosebumps. I used the new Echo Park - Chillingsworth Manor Collection for my card...I always love EP Halloween paper! 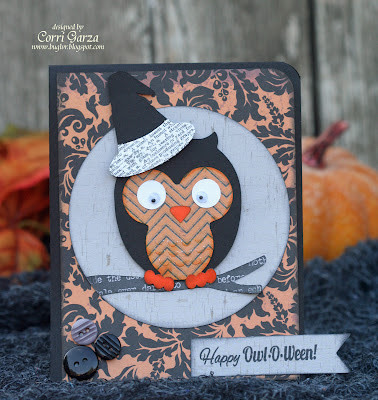 This adorable little owl is from the new Acorn Autumn SVG kit from SVG Cuts. 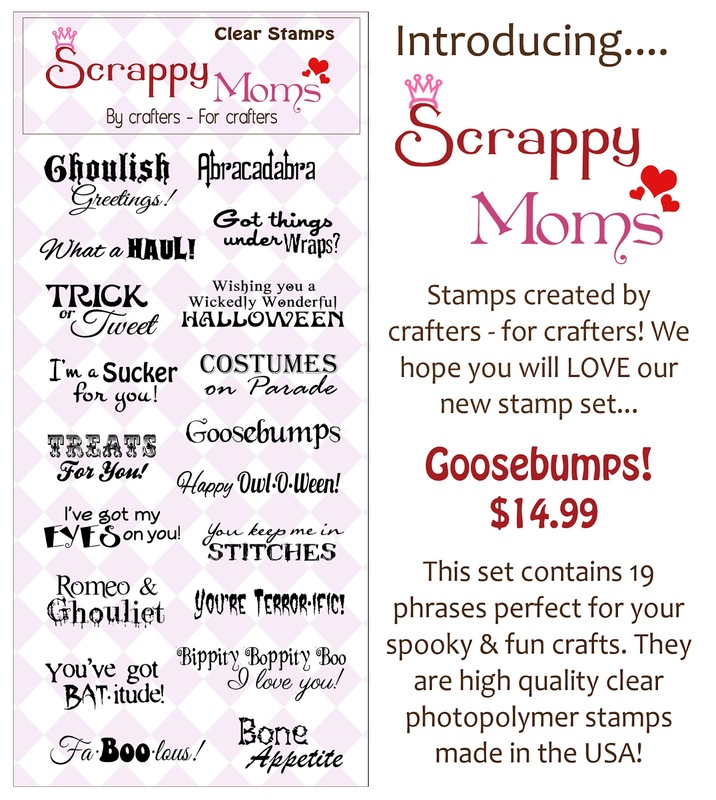 Scrappy Moms is having a sale right now! You can get free shipping now through September 16th...head on over to order your new set! Love it Corri! Just got this collection and anxious to play!